Malawi President Joyce Banda said on Friday she had asked the African Union to prevent Sudanese President Omar Hassan al-Bashir, who is wanted by the International Criminal Court on genocide charges – from attending a summit in her country. Bashir visited Malawi last year when President Bingu wa Mutharika was in power, which sparked international criticism that Malawi was not living up to its international court membership obligations to honour an arrest warrant. Banda, who became president last month, said she had asked the African Union not to invite Bashir to the African heads of state summit to be hosted by the impoverished southern African nation in July. “I have written them because of the economic implications this may have on Malawi,” she told a news conference. Mutharika’s government allowed Bashir to attend a regional trade summit last year, citing “brotherly coexistence”. The move strained ties with donors, including the United States and European nations, who had already frozen projects in Malawi due to Mutharika’s suspected human rights violations and growing autocracy. Mutharika died last month of a heart attack. The International Criminal Court, the world’s first permanent war crimes court, has no police force of its own and is reliant upon state co-operation to have suspects arrested. 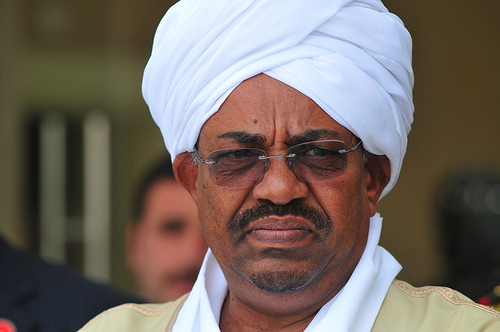 Bashir has been indicted by the court over allegations he is responsible for the deaths of up to 300,000 people in Darfur since 2003. He has denied the charges.